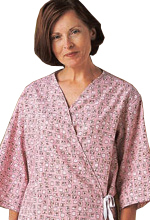 Washing Instructions Machine Wash Warm Tumble Dry Medium Only-Do not use Chlorine Bleach Our IV Patient Gowns were designed with patient comfort in mind. 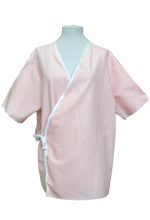 These hardworking gowns are One Size Fits Most and have a center breast telemetry pocket which allows wires to pass through a buttonhole inside the pocket staying out of sight, The oversized pocket conceals monitor from view. 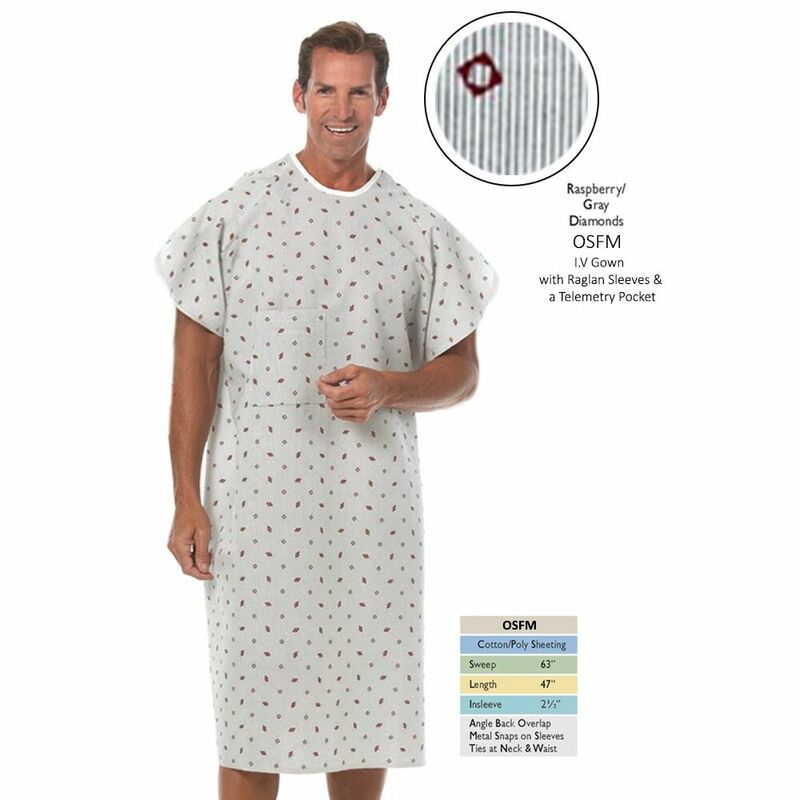 These Gowns have Raglan Sleeves which fasten with four stainless steel ring snaps. 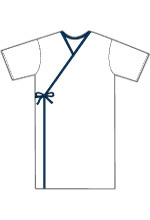 These Gowns are generously cut and have One tie on the shoulder and one tie on the side which provides complete patient Modesty. 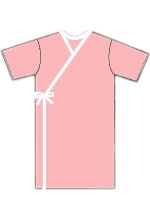 Washing Instructions Machine Wash Warm Tumble Dry Medium Only - Do not use Chlorine Bleach. The gowns I ordered were exactly what we needed, used after a broken shoulder. 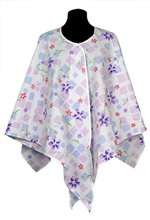 Snaps at the shoulder made on and off so easy.